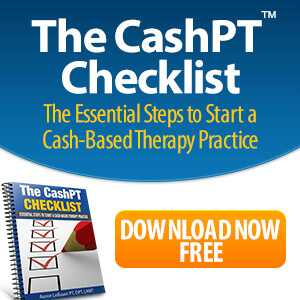 Are you considering opening a physical therapy cash practice? Do you want ALL patients to be able to choose your practice when they need physical therapy? Do you want your mother to be able to choose without limitation the best physical therapist for her when she needs one? If you answered yes to any of the questions above, it’s time for you to take action on this important legislation that was recently introduced. This is important to you especially if you desire to own a a physical therapy cash practice because as it currently stands, unless you are Medicare provider you are prohibited from forming a private contract (accepting direct payment for your services) with Medicare beneficiaries if their condition is a “covered service.” Most patients do not understand this when explained to them and it was something I was completely surprised by when initially opening my practice. This bill will allow physical therapists to “opt out” of participating in medicare and allow patients to pay directly for services provided by a physical therapist. 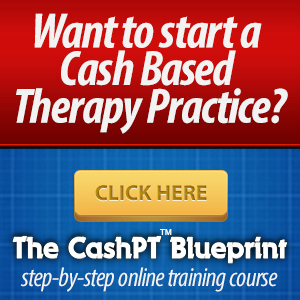 This is not an issue for physicians, occupational therapists, chiropractors, massage therapists or personal trainers. 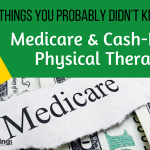 Currently as a physical therapist if you have a cash practice you can choose to be a medicare provider and not participate, which means you can only charge up to 115% of the medicare allowable amount and still requires you to file the paperwork and submit all charges to Medicare. 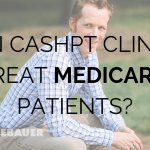 Your other option is to not see medicare patients for covered physical therapy services. Through the APTA’s legislative action center you can email your representative, but I would also encourage you to print out a letter and mail it in on your letterhead. Please Tweet, share on Facebook, post on Google+ and your other social networks. This issue is not APTA’s top priority which makes it even more important to explode this on a grassroots level. Let’s put our voices together and stand up and be heard. PS. If you are not a member of the APTA, please contact your congressional representative by phone and ask them to co-sponsor and support the Medicare Patient Empowerment Act of 2013 (HR 1310), and if you feel compelled, join the APTA and the private practice section. This is one of the only, and the largest, collective voice in government that physical therapist have today. 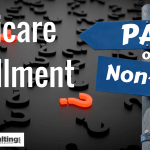 Medicare Enrollment – PAR or NON-PAR? 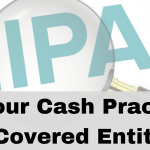 Is My Cash Practice a HIPAA Covered Entity? I received this response from my Congressman Howard Coble today. 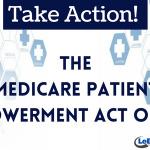 Thank you for contacting our office regarding the Medicare Patient Empowerment Act (H.R. 1310). We appreciate hearing from you. H.R. 1310 was introduced by Rep. Price (R-GA) on March 21, 2013, and subsequently referred to the House Energy and Commerce committee as well as the House Committee on Ways and Means. This bill would allow Medicare beneficiaries to freely contract with healthcare professionals for any item or service covered by Medicare. Medicare patients would then be entitled to reimbursement for these services, up to the amount that would ordinarily apply if the claim had been filed by a participating physician. I will be sure to keep your thoughts in mind should H.R. 1310 be considered by the full House during the 113th Congress. Again, thank you for sharing your views. Please feel free to contact our office if we may be of assistance to you in the future. Great job Aaron! Thanks for posting this.